Live moved to the bottom. * After revealing his new, eco-friendly WWE Championship last week, “The New” Daniel Bryan found out from WWE COO Triple H that he would be defending the hempen title against five other Superstars inside the unforgiving Elimination Chamber. Tonight, the “planet’s champion” will face one of his challengers, as he takes on Jeff Hardy. Will Hardy make a statement before the career-altering battle, or can Bryan establish dominance before defending his title? Find out on SmackDown LIVE, tonight at 8/7 C on USA Network! * Can Nakamura & Rusev coexist against The Good Brothers? 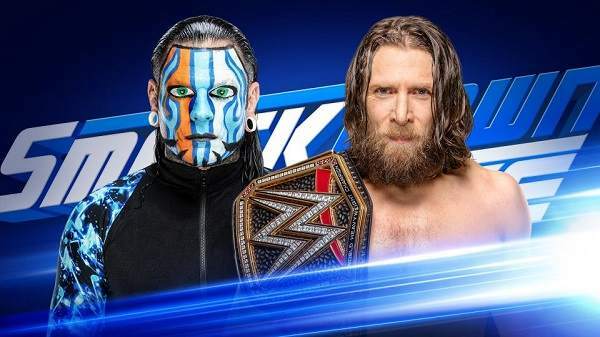 * Mustafa Ali has quickly become SmackDown LIVE’s newest sensation, but will face perhaps his toughest challenge yet when he squares off against Randy Orton tonight on SmackDown LIVE. # Can Nakamura & Rusev coexist against The Good Brothers? * After weeks of intense rivalry, Shinsuke Nakamura & Rusev found themselves on the same page last week after both fell short in United States Championship Matches against R-Truth … and The Good Brothers weren’t good with it. * “The New” Daniel Bryan will defend his WWE Championship inside the Elimination Chamber against five of SmackDown LIVE’s top Superstars at the titular event on Feb. 17, but one of those opponents, Jeff Hardy, will look to get a jump on building some momentum when he faces off with Bryan tonight on SmackDown LIVE. After the chaotic scene last week on SmackDown LIVE that saw Bryan debut a new eco-friendly WWE Championship and WWE COO Triple H announce the Elimination Chamber Match (but not before Bryan disrespected all of his now-opponents in the bout), Hardy will surely be aiming to silence Bryan in this non-title singles match on the blue brand. Can The Charismatic Enigma separate from the pack as the major title match inside the dreaded structure approaches? Find out on SmackDown LIVE, tonight at 8/7 C on USA Network!